Russia's border regions have had moments as open 'gateways' to cooperation. More often, however, the border has been viewed as a 'garrison': an outpost of state power. 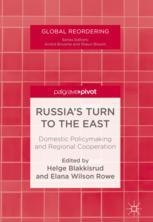 This chapter places the Russian Far East in the broader context of Russia's pursuit of economic development and security concerns, noting that Russian foreign policy is not necessarily uniform: there are elements of compartmentalization/disaggregation along geographical vectors. The chapter broaches the question that informs all case studies in this volume: has Russia intensified its diplomatic and economic outreach to its eastern border areas and beyond because of the recent breakdown in relations with the West—or would such a shift have taken place anyway, given the economic pull of the Asia-Pacific region?